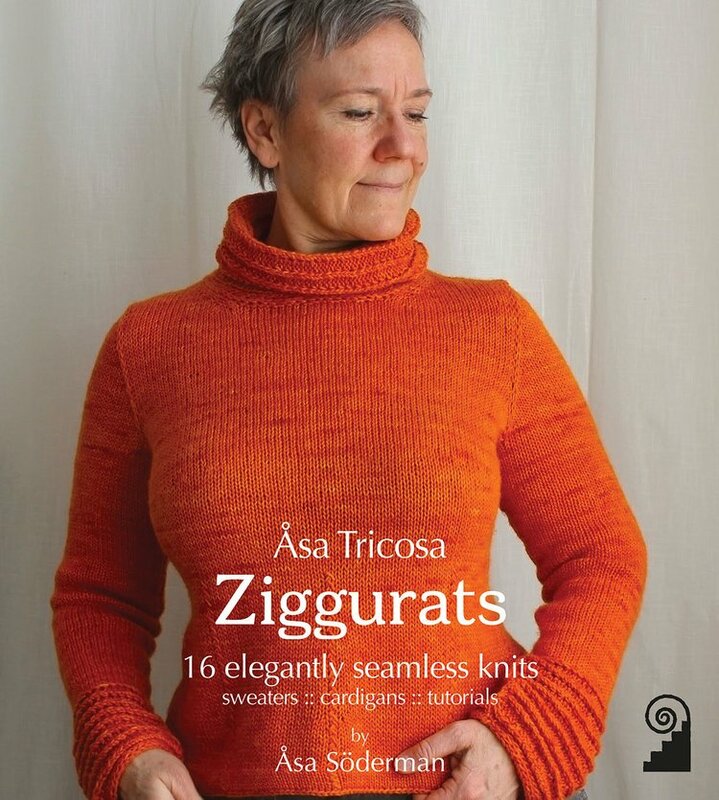 Let Åsa Tricosa introduce you to the art of knitting beautiful top-down sweaters, using her innovative ‘Ziggurat’ technique. Skillfully designed to minimize cutting and joining of skeins, and to maximize flowing and seamless knitting, the Ziggurat method is clever, addictive and produces well-fitting, well-finished sweaters. The book is written for both experienced and novice knitters, and for those new to sweater knitting. The comprehensive and elegant patterns will guide you, step-by-step, through the basics of Ziggurating. You can choose to follow the patterns as written to master the techniques and gain confidence. 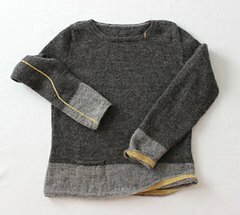 Or you can use Åsa’s extensive detailed tutorials, and customize the patterns to suit yourself – adapt the neckline, add pockets, tucks, or lined hems and cuffs to create truly unique knits. 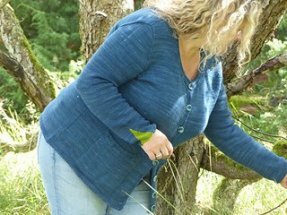 This is Åsa’s invitation to discover the beauty of some of her favorite yarns, with designs knitted in a range of weights, heavy laceweight to aran, from both commercial and indie dyers. 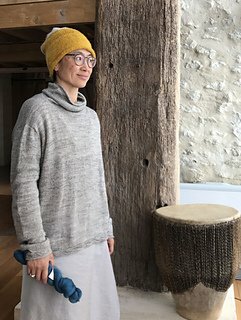 Åsa Söderman, known to the knitting world as Åsa Tricosa, is a pattern designer who delights in solving tricky knitting problems. Her designs feature her own innovative techniques and a pure pared-back style, centered around warm functionality, clean lines, flawless craftsmanship and an understated Scandinavian elegance. Born and raised in Sweden, Åsa has lived in New York, Boston, Sussex, Singapore and Scotland. She has now knitted her way to Germany, where she lives with her Danish husband.